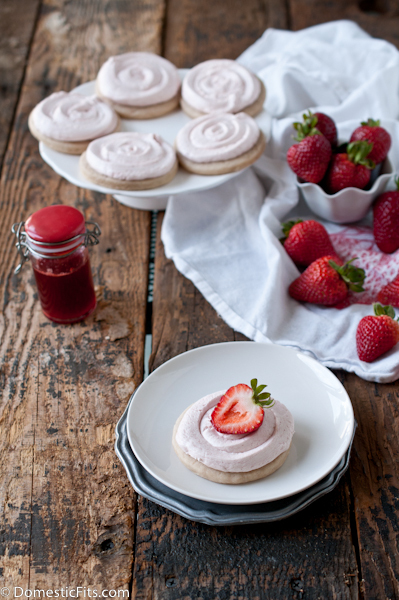 Last month California Strawberry Commission generously paid my way to BlogHer Food conference in Austin Texas. As conferences usually go, the memories of the people and food stand the brightest in my mind. The bloggers from all over the globe, the friends I usually only see online, and the food I’ve been reading about for years were right in front of me. The highlight of the actual conference sessions was a fantastic workshop on food preservation and how to use more food, and waste less. This was not only a reminder to me of how much food I waste, but a call to action on what can be done with those food scraps that usually go in the trash or compost bin. Kate from the Hip Girls Guide to Homemaking is a brilliant source of knowledge on the subject and taught us how to make fruit vinegar (amazing in salad dressing!) 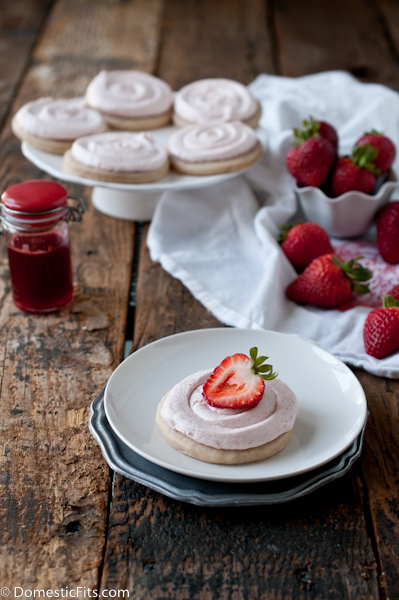 like this Strawberry Vinegar on her site. I got me thinking about a strawberry extract, or a strawberry syrup. I love baking with strawberries and I love Italian Sodas, but those syrups always have so many chemicals! Syrup is also a great use of in-season strawberries. Those giant flats of gorgeous berries are being sold at bargain prices right now, but sadly, the berries don’t stay beautiful as long as we’d like. 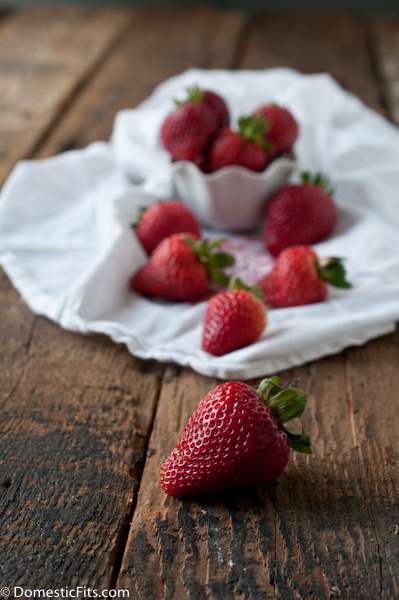 Once the berries start to lose their luster, you don’t have to toss them! There are a lot of fantastic ways to use those up, like making a beautiful syrup that you can store in the fridge, or even freeze for use in colder months when strawberries are harder to come by. At the farmers market last week, I came into ownership of about 3 pounds of strawberries, much to the delight of my strawberry obsessed daughter. Once the shine started to fade, I used most of what was left to make this syrup and froze what was left. These cookies turned out beautifully, just as soft as I wanted with a hint of fresh strawberry syrup. Don’t forget to enter the California Strawberries Pin To Win contest to win some cash! In the bowl of a stand mixer add the butter and sugar. Beat on high until well incorporated. Add the eggs and strawberry syrup, mix on high until light and fluffy. In a separate bowl add the flour, baking powder and salt, stir to combine. Sprinkle the dry ingredients over the butter and slowly mix until the dough comes together, scraping the bottom to make sure the butter is full incorporated. Place a sheet of plastic wrap on a flat surface. Dump the dough into the center of the plastic wrap, form into a disk. Wrap with plastic wrap and chill until firm, about 1 hour. Roll the dough out on a lightly floured surface to about ½ to ¾ inch thickness. Cut into shapes. Line a baking sheet with parchment paper. Place the shapes on the parchment paper and bake until the top no longer looks wet but has not started to brown, about 12-15 minutes. Immediately pull the parchment paper with the cookies onto a flat surface. Allow to cool to room temperature. To make the frosting add the butter to a stand mixer with a paddle attachment (or a whisk attachment), beat until light and fluffy, about 3 minutes. Add the mascarpone and softened cream cheese, beat on high until full incorporated. Add the powdered sugar and beat until well combined. Add the syrup, mix on high, scraping the bottom to make sure the frosting is fully incorporated, until well combined. In a saucepan over high heat, add the strawberries, water and sugar. Bring to a boil, stirring frequently, for ten minutes. Place a fine mesh strainer over a large bowl (reserve pan). Pour the strawberry mixture into the strainer and allow to all the liquid to drain into the bowl. Use a spatula or wooden spoon to press the solids into the strainer to extract as much liquid as possible. Put the liquid back into the sauce pan and simmer until reduced and thickened, about 5 minutes. Store in an airtight container in the fridge. I loved seeing you again and I loved that workshop too. I have been constantly thinking of how to waste less since that session. I love these cookies! Looks like you had a great time! And these cookies – AMAZING! That frosting is the best. And I love that mascarpone can be used for both savory and sweet dishes. They’re gorgeous! Do they turn out soft like a Lofthouse cookie? I have seen so many recipes for them but they all make like..5 doz cookies and they’re hard to halve with 3 eggs. Yours looks perfect for me! And with strawberries, no less! 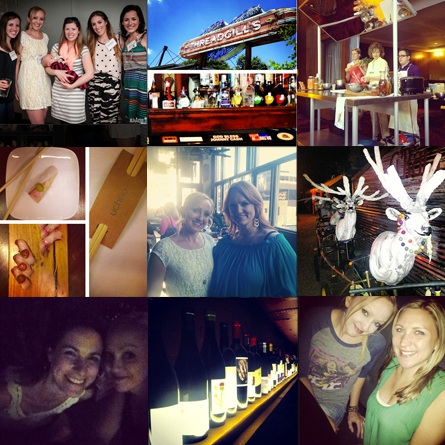 So glad that you went to BlogHer & had a blast. I didnt go (kicking myself!). Great pics! Sounds like such a fun time!! These cookies are stunning! That frosting is calling my name. It sound incredible and with those soft cookies!! Whoa! I adore soft cookies. There’s nothing so comforting as a soft frosted cookie and a tall glass of ice cold skim milk. Heaven. I want to eat that strawberry syrup with a spoon! Oh and the cookies are so amazing!! What a beautiful cookie! Perfect for these strawberries I have around. So bummed we didn’t meet in Austin! 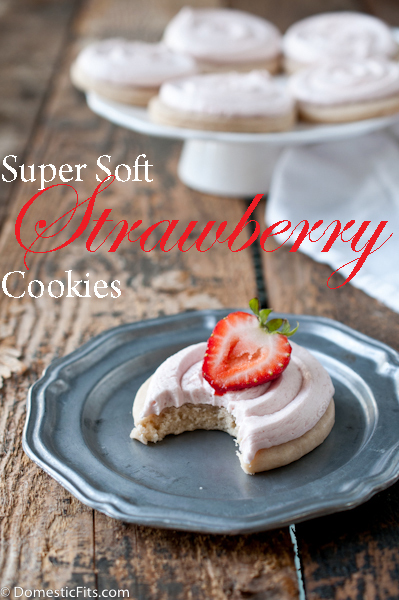 I can’t get enough of strawberries this season so I am putting these cookies onto my to-bake list! And the strawberry syrup – LOVE! Brilliant! 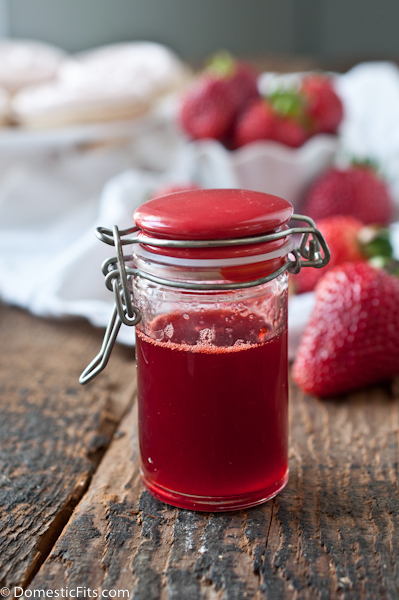 Definitely making this strawberry syrup the next time I need to use a bunch of them before they go bad! I am madly in love with these cookies and especially the frosting! These cookies sound like the perfect summer treat! I bet the syrup really adds that bright strawberry flavor without adding any fruit, which has all those seeds and would add way to omuch moisture to the cookies. Great idea! wow these cookies sound delish. love the frosting! Few things measure up to sweet strawberry syrup poured over a warm, crisp waffle. Around here, we love our breakfast foods, among which pancakes and waffles are our favorites. Since we generally use fresh and healthy ingredients, including whole wheat, honey, and ground flaxseed meal, we treat ourselves every so often with this simple syrup. It has a sweet, slightly sour flavor, which complements the richer sweetness of the honey. The overall effect is a balanced syrup flavor. Kate from the Hip Girls Guide to Homemaking is a brilliant source of knowledges! When I was brainstorming of a great ‘red & white’ themed post for Canada Day my first thought was strawberry shortcake. I already have a tried that and these look better. Will try soon!